As a homeowner, you are always looking for ways to improve your house, both inside and outside. If your house has a basement, then one home improvement project you might consider taking on is waterproofing it. Not sure if you need this done? 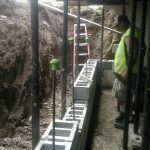 Here are some of the top benefits of basement waterproofing in Racine, WI. When you waterproof your basement, you increase the amount of available storage space as well as your overall living space. In regards to more storage space, the only way you can safely store your belongings in your basement is by ensuring the room is not wet, damp or moldy. Otherwise, you run the risk of water and moisture ruining possessions like clothing, electronics, photographs, appliances and furniture. You can lose these things and more in basement floods. On top of increased storage space, waterproofing your basement can also add to your usable living space. A dry basement makes for easy remodeling so you can create an all-new floor for your house. Most realtors will tell you that homes with waterproofed basements tend to sell for more money and hold more value than homes without. It makes sense that potential homebuyers are more likely to make offers on homes that don’t have wet and moldy basements! Additionally, waterproofing can raise the value of your home by 25 percent, especially if the waterproofed area has been converted into a functional living space. Did you know that waterproofing your basement could help you save on energy costs? It increases your energy efficiency because sealing up cracks prevents cold air from getting inside during the chillier months and hot air from entering during the warmer months. Your HVAC won’t be overworked when the inside temperature is able to remain constant and the humidity stable. One of the top benefits of basement waterproofing is mold prevention—and of course you want a mold free basement! All types of mold (but especially black mold) can be extremely harmful to your health. Young children, the elderly and pets are more susceptible to the effects of mold due to having weaker immune systems. Furthermore, studies show that exposure to black mold can cause or exacerbate certain conditions, including asthma, allergies, respiratory issues and sinus problems. Mold spreads quickly, and untreated mold can get your house condemned! Consider talking to a professional about waterproofing your basement. 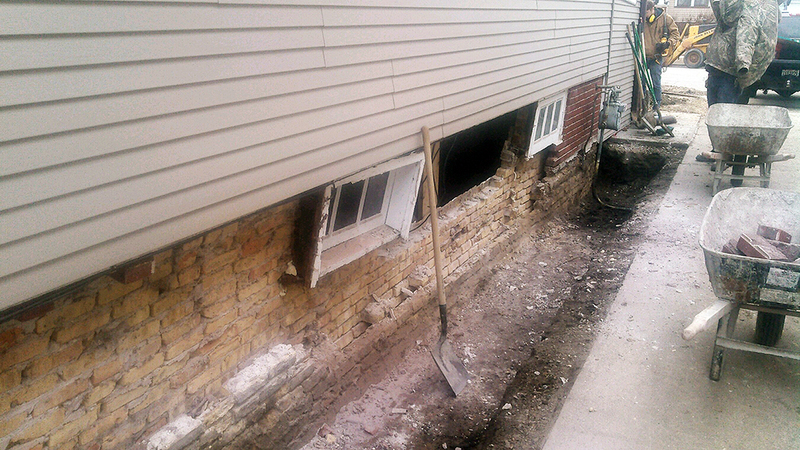 A basement that is properly waterproofed can improve the structural integrity of your home. Think about this: your home’s foundation is the structure that supports the entire weight of your house, and if it is damaged, it cannot do its intended job. Water damage can get into the walls or foundation, causing areas of weakness and bowing, cracks and other serious problems. Waterproofing reduces the odds of water getting into the walls of your home, while also relieving pressure on the walls from the outside. Contact the team at Langenfeld Masonry & Concrete to learn more about the benefits of basement waterproofing in Racine, WI!